They say that on some dark nights, as an eerie mist creeps over the Toronto islands, you can still hear him moaning somewhere in the distance. On others, you might hear him walking up the steps of the old lighthouse, even though there's no one there — or see a ghostly light shining up top, even when the lantern isn't lit. Sometimes, you might find his fresh blood spilled on those old wooden stairs. Or even catch a glimpse of him yourself: a spectre stalking through the undergrowth, or wandering the paths around the lighthouse, bloodied and beaten, his arms missing. They say he's the ghost of Toronto's first lightkeeper and that he's searching for the pieces of his body that were hacked off more than two hundred years ago and buried somewhere in the sand. The story of John Paul Radelmüller came to a bloody end in Toronto, but it began more than six thousand kilometers away — in the royal courts of Europe. He was born in Bavaria — which is part of Germany now — in the town of Anspach, not far from Frankfurt. This was in the middle of the 1700s. Back then, the British royal family were all from Germany. King George II had been born in Hanover; Queen Caroline came from the very same town where Radelmüller grew up. And even though they were ruling England, the royal family kept close ties to their homeland. Many of their servants were German, too. That's how Radelmüller ended up in England. He was a teenager when he got a job as a royal servant during the reign of "Mad" King George III: he attended to the king's younger brother, Prince William. But as luxurious as the royal quarters were, it can't have been an entirely easy life. The king was suffering from bouts of severe mental illness and frequently clashed with the prince. At the same time, the prince's son was such a jerk that even members of his own family called him "The Contagion". After sixteen years serving the prince, Radelmüller finally quit. He headed back home to Bavaria to become a farmer. But this was 1798. The French Revolution had plunged Europe into decades of chaos and war. Radelmüller's farm was caught right in the middle. He was forced to flee, becoming a refugee. Knowing he would be welcome back in England, he returned to the royal court. 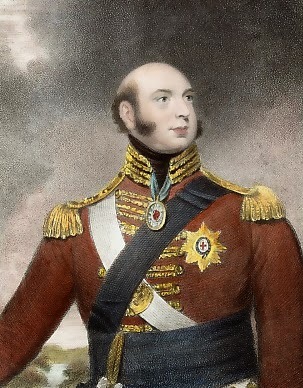 This time, he served as a porter to one of the "mad" king's sons: Prince Edward. The Prince Edward. The father of Queen Victoria. The guy Prince Edward Island and Prince Edward County are named after. Edward was a huuuuuge fan of Canada. In fact, he's the very first person who ever used the word "Canadians" to refer to both anglophones and francophones. By the time Radelmüller joined his staff, the prince had already spent years living in Québec and in Nova Scotia; he was only back home in England to recover after falling off his horse. Soon, he headed back across the Atlantic to Halifax. And his new porter went with him. It didn't take long for Radelmüller to fall in love with Canada, too. When Prince Edward fell ill and was forced to return home to Britain, Radelmüller stayed at his side — but he came back to Canada as soon as he got the chance. He landed a gig as a steward for the Lieutenant Governor of Nova Scotia. Still, he dreamed of becoming a farmer again. Someone had told him the best farmland was far to the west, in the brand new province of Upper Canada. He was determined to make a new life for himself out here on the Canadian frontier. And no one was going to stop him. The Governor was reluctant to let him go — promising to give him letters of recommendation and then holding them hostage at the very last moment, hoping his trusted steward could be convinced to stay on for another year. But Radelmüller's belongings had already been loaded onto a ship ready to set sail. So he left anyway, making the grueling five-week trip up the St. Lawrence in the dead of winter. Radelmüller arrived in Toronto on New Year's Day in 1804. He knew nobody. He had no job. No land. No letters of introduction. It wouldn't be easy. Our city was still just the tiny little town of York back then. The population was still counted in the hundreds. 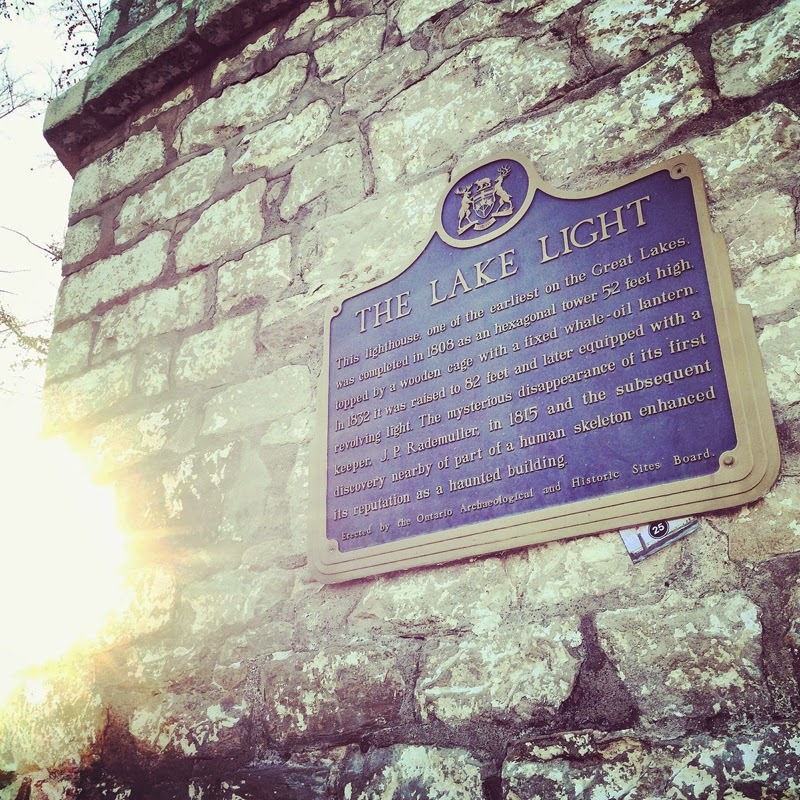 It had only been ten years since John Graves Simcoe and his British soldiers had first arrived to carve the muddy capital out of the ancient forest towering over the northern shore of Lake Ontario. This was still very much the frontier. But Radelmüller succeeded anyway. First, he headed north up Yonge Street to Markham, founding a school where he taught English to the Germans who had recently settled there. Before long, he was recognized as their official translator for all government business. Soon, there would be an even better opportunity. Simcoe had picked this spot as the place to build his city because of the Toronto islands. Back then, they were still connected to the mainland: they were just one big, long, sandy peninsula stretching out from a marsh where the Port Lands are today. The sandbar wouldn't become an island until a big storm created the eastern gap in the 1850s. The peninsula created a natural harbour with only one way in: through the narrow western gap. That entrance would be easy to defend. In fact, Simcoe was so excited that he called the spot Gibraltar Point — named after the rocky fortress at the entrance to the Mediterranean. 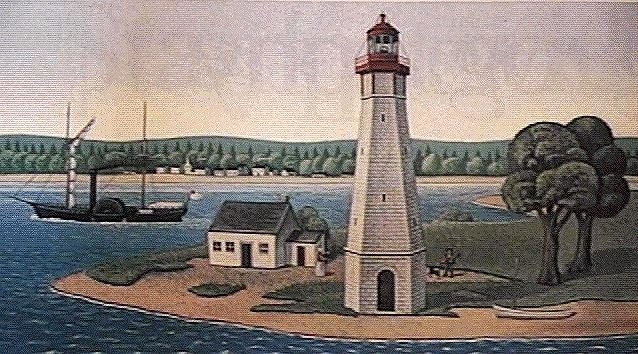 Simcoe declared that a lighthouse was one of the very first buildings they should build in Toronto. Right there on Gibraltar Point. About ten years later, construction finally began on the south-west corner of the sandbar. The Gibraltar Point Lighthouse was the very first permanent lighthouse built anywhere on the Great Lakes. It was the first stone building in Toronto. When it opened in 1808, it towered over the beach right next to the water, stretching sixteen meters into the air. That's about five storeys. It would be the tallest building in our city for almost fifty years. At the base, the walls are nearly two meters thick, built of limestone shipped north across the lake from a quarry at Queenston — high on the heights at Niagara, which you can still see from Toronto on a clear day. At the top of the lighthouse, a bright lantern shone out as a beacon to the ships sailing through the dark waters at night. It burned two hundred gallons of sperm whale oil every year. He lived in a small wooden cabin next to the lighthouse. And soon, he was joined there by his family. A couple of years into his new job, Radelmüller married his wife, Magdalena. The wedding was held at Toronto's first church: St James', a little wooden building at King & Church Streets — the same spot where St. James' Cathedral stands now. Before long, they had a daughter: little Arabella was born. It was a quiet, peaceful life. At least at first. They say Radelmüller even made some extra money on the side by brewing beer in the German style he'd learned to make back home. But it didn't take long for the chaos that had driven him out of Germany to find him far on this side of the Atlantic. The wars sparked by the French Revolution led to the rise of Napoleon. And while the might of the British Empire was distracted by the tiny French Emperor, the Americans seized their opportunity. They invaded Canada. The War of 1812 had begun. Just a few short years after Radelmüller had started his new job as our city's first lightkeeper, Toronto was in the middle of a war zone. The Gibraltar Point Lighthouse was suddenly even more important. The Great Lakes were a key battleground. Control of Lake Ontario was most important of all. Keeping the British fleet safe from the treacherous shoals near the harbour was an essential job — one lost ship could turn the tide of the entire war. And it seems that Radelmüller was up to the task, playing his vital role far out on his lonely sandbar as the war dragged on for nearly three years. Tragically, he wouldn't live to see the end of it. On Christmas Eve of 1814, a peace treaty was finally signed. But negotiations were held in Belgium, which meant that it would take weeks for the news to cross the ocean and finally reach Toronto. By the time it did, Radelmüller was already dead. He'd been murdered. Radelmüller and his family weren't the only ones on the sandbar. Hunters and fishermen used it too. First Nations families occasionally camped nearby. And not far from the lighthouse, there was a new military blockhouse. To this day we still call that spot on the islands "Blockhouse Bay". It was built during the War of 1812, armed with a gun designed to the protect our harbour against the Americans. And it was manned by soldiers from Fort York. They spent most of their time keeping watch and preparing for an attack. But they were also friendly with the lightkeeper. Sometimes, they'd row down Blockhouse Bay to visit the lighthouse and drink some of Radelmüller's beer. On that cold January night at the very beginning of 1815, two of those soldiers came for a visit. They were called John Henry and John Blowman. At first, everything seemed to be going well. They all drank long into the night. But at some point, Radelmüller decided the soldiers had had enough. He cut them off. And that's went everything went horribly wrong. The soldiers were angry; they got violent. One took off his belt, the other grabbed a rock, and together they attacked the lightkeeper. Radelmüller ran, bleeding and afraid, scrambling up the steps of the lighthouse in a desperate bid to escape. But the soldiers followed, relentless. They broke down the door and chased him up the narrow wooden stairs to the very top of the lighthouse. That's where the lightkeeper made his last stand: up there, high above the ground as his flaming beacon shone out across the dark lake. There was a final skirmish. Radelmüller was pushed over the railing and fell to his death. It was over. The lightkeeper lay still. The two soldiers knew they were in deep trouble. The penalty for murder was death. And so, they worked quickly to cover up their crime. They found an axe and used it to hack the body into pieces, severing the limbs. Then, they buried what was left of John Paul Radelmüller, bit by bit, in a series of shallow graves dug in the frozen sand. Their grisly job finished, they ran. That, it seems, was a mistake. It was more than a little suspicious: disappearing the very same night the lightkeeper did. Less than two weeks later, the York Gazette announced their arrest. "From circumstances there is moral proof of [Radelmüller] having been murdered," the paper reported. "If the horrid crime admits of aggravation when the inoffensive and benevolent character of the unfortunate sufferer are considered, his murder will be pronounced most barbarous and inhuman. The parties lost with him are the proposed perpetrators and are in prison." It took more than two months for the case to come to trial. When it did, the soldiers were acquitted. There was little evidence. No one had ever found the body. There would be no justice for the lightkeeper. And so, his soul was doomed to haunt his lighthouse for the rest of eternity. At least, that's what people like to say. The details, as you might imagine, are more than a little bit sketchy — right down to the inconsistent spelling of Radelmüller's name. It's hard to find a single record of anyone who has ever claimed to have actually seen the ghost. Even the story of the murder itself is hard to verify. The tale was passed down from one generation of lightkeepers to the next. The first concrete record of the story seems to have been written down by the Toronto newspaperman and historian John Ross Robertson — but that was a hundred years after the killing took place. It was told to him by another lightkeeper at Gibraltar Point — George Durnan — whose family manned the lighthouse for more than seventy years (from the 1830s right up until 1908). Durnan didn't mention a ghost at all. And Robertson suspected that even the murder had probably never happened. He found no record of the crime in the archives of the York Gazette. "There is no doubt that it has been garnished in the telling," he admitted. "It may be a fairy tale..."
Decades later, the last of the island lightkeepers — a woman with the awesome name of Dedie Dodds — spoke to the CBC. "There may be a ghost," she told them, but there were plenty of rational explanations for everything. 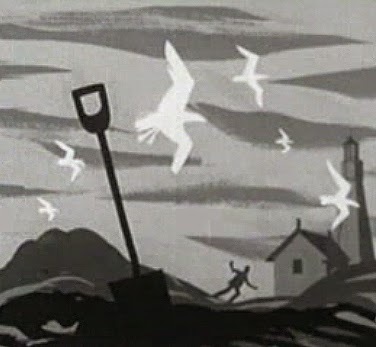 "The cooing of the pigeons is very eerie on a dark night. And the wind howling through the lighthouse gives you the shivers. When the moon is full, it's reflected back from the top of the lighthouse." Just a few months earlier, even she had been momentarily fooled. "It gave me quite a start." Still, it made for a very good story. And Durnan did claim to have found a piece of related evidence. He said that one day, he went looking for Radelmüller's remains around the spot he'd been told he could find them. There, buried in a shallow grave about a hundred and fifty meters to the west of the lighthouse, he found a coffin. Inside, there was a human jawbone. It was all more than enough to fuel the legend. By the time Dodds became the lightkeeper in the 1950s, the phantom had become part of the myth — and the grisly tale of the haunted lighthouse had become one of Toronto's most beloved ghost stories. In fact, by the end of that decade, it would earn official recognition. After a century and a half of continuous service, the Gibraltar Point Lighthouse was finally going to be decommissioned. To honour the old building's new life as an historical monument, a new plaque was going to be erected. "The mysterious disappearance of its first keeper, J.P. Rademuller, in 1815 and the subsequent discovery nearby of part of a human skeleton enhanced its reputation as a haunted building." That line sparked a heated battle. The Advisory Board might like it, but the Metro Toronto Parks Committee disagreed. The councillors on the committee were appalled by the idea that such fantastical nonsense was going to be officially recognized. One councillor dismissed the story of Radelmüller's ghost as "a myth... an old wives' tale" unworthy of inclusion on a plaque. "I can't see it would make the place attractive to children," another councillor worried, completely misunderstanding children. Even the Metro Chairman himself, Fred Gardiner, the guy the highway is named after, weighed in. "That," he declared, "would only scare people." But the Advisory Board refused to back down. The plaque went up anyway and the story of Radelmüller's ghost was preserved. 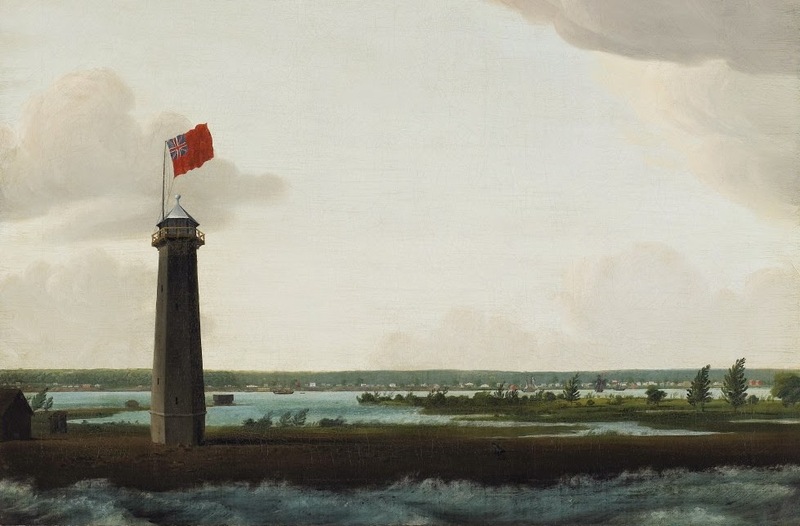 Today, you can still find it there on the side of the lighthouse, giving the people of Toronto a colourful connection to one of our most interesting — but most easily forgotten — landmarks. Today, the Gibraltar Point Lighthouse is the oldest lighthouse anywhere on the Great Lakes. Some people consider it to be the oldest in all of Canada. The only older lighthouse is in Nova Scotia — but it's been repaired and renovated so much that even Lighthouse Digest suggests that it might not really count anymore. For more than two hundred years, our first lighthouse has kept watch over our city. It's the oldest building in Toronto that still stands in the same place where it was originally built. It has borne witness to all of our greatest and more terrible moments. It saw the American invasion during the War of 1812. The raging storm that turned the sandbar into the islands. The Great Fires of 1849 and of 1904. The arrival of the first steamships and of the first trains. It has helped thousands of sailors bring thousands of ships safely into our harbour, carrying countless new Canadians into our city to make this place their home. Once the tallest building in Toronto, the lighthouse has watched our skyline grow into one of the most impressive in the world, topped by one of the tallest buildings humanity has ever built. It's easy to forget the Gibraltar Point Lighthouse, out there alone on the island. The light was turned off long ago. The cottages where the lightkeepers and their families once lived have now all been demolished. The shoreline has evolved, grown with silt, moved more than a hundred meters away. Even with an 1830s extension taking it another few meters into the air, the lighthouse has nearly disappeared among the trees. It has been swallowed up by the same city it helped bring to life. But the story of the lightkeeper's ghost helps us to remember — to remember not just the history of that building, but of what this place used to be. Today, the guardian of the lighthouse is a volunteer. His name is Manuel Cappel. He too is from Germany, just like Radelmüller was. He lives on the islands, where he also builds bicycles; he used to run the Rectory Café. Torontonians today ask him the very same question they've been asking the island lightkeepers for generations now: is the lighthouse really haunted? He gives them the same answer he gives everyone. An answer that couldn't be more true. "It is," he tells them, "if you want it to be." The story of Toronto's island ghost will appear in The Toronto Book of the Dead, coming from Dundurn Press in the fall of 2017. Edward Butts uncovered much of Radelmüller's true history in his book Murder: Twelve True Stories of Homicide in Canada. You can borrow it from the Toronto Public Library here, or buy it from Dundurn Press here. The story of the lighthouse and its ghost has been told many, many times. Gary Miedema told it for Spacing. Chris Bateman told it for blogTO. Jordan Pipher told it for the Hogtown Crier. Sarah B. Hood told it for Adventures in Upper Canada. Jacqueline Martinz told it for Torontoist. Wikipedia tells it here. Lighthouse Digest tells it here. Urban Toronto tells it here, with an assist from Heritage Toronto. The Friends of Toronto Islands tell it here. The Toronto & Ontario Ghosts and Hauntings Society tells it here. A TV show called Creepy Canada told their own version of the story, which you can watch on YouTube here. John Ross Roberton's original version appeared in volume two of his "Landmarks of Toronto" books. You can find in online thanks to Archive.org here. The Ontario Catholic Paranormal Research Society (which seeks to either debunk ghost stories, or re-contextualize them as religious events) did their own investigation of the lighthouse. They found no evidence of paranormal activity and raise many of the most convincing doubts about the story of Radelmüller's ghost here. The Toronto Star talks to the current guardian of the lighthouse, Manuel Cappel, here. And in PDFs, which I think you're able to access if you have a Toronto Public Library card here and here. You can check out the website for his bike-building business here. The Star also covered the story of the battle over the plaque here. And they talk to Dedie Dodds here. The CBC talked to Dedie Dodds and a member of the Durnan family in the 1950s. You can watch that video online here. The main image is a slightly cropped version of "View of York" which was painted in 1816ish by Robert Irvine. It's on display at the Art Gallery of Ontario and has been featured on their website here. 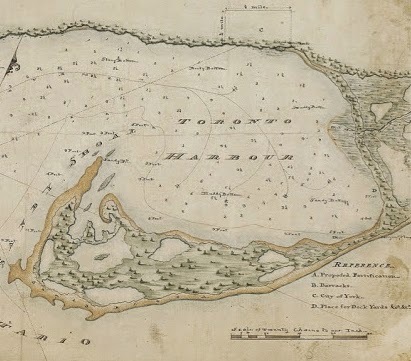 The old map of the harbour comes from the awesome Historical Maps of Toronto site here. 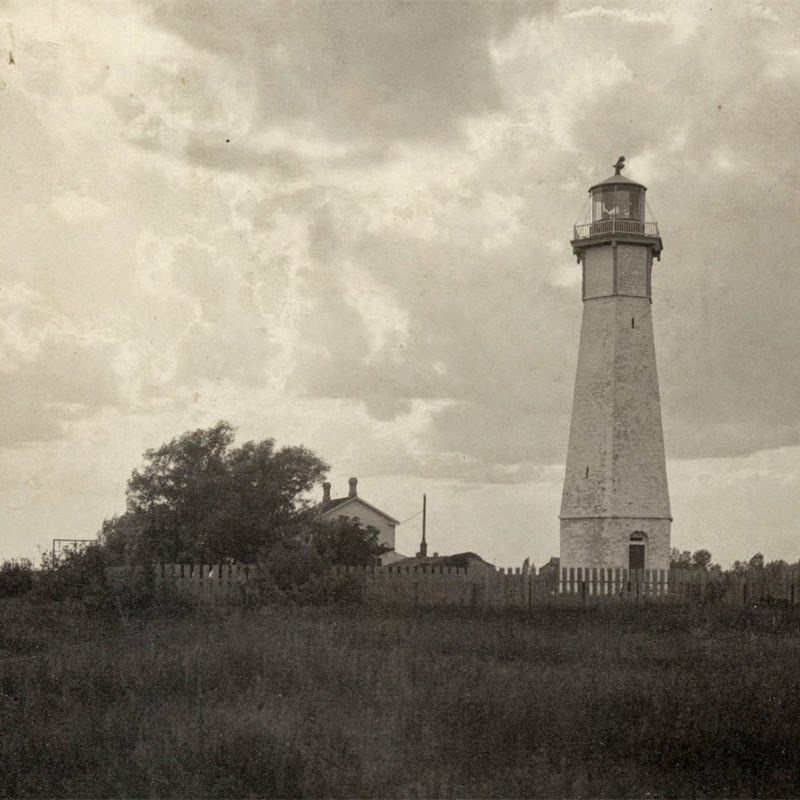 And the photo of the lighthouse in the year 1900 comes from the Toronto Public Library's digital archives here. Great article. But you might find 'New Light on Toronto's Oldest Cold Case' helpful on confirming some of the details of John Paul Radelmüller's murder.